Description: Fabulous early woodcut of Sri Lanka from "Geographia Universalis". Title cartouche with description of pepper and illustration of an elephant. On verso, the work of printmaker Hans Holbein the Younger in the block title cartouche. Black and white, good impression. Description: Ceylon. Early map of the Island. Decorative cartouche. Coloured. Description: Golden Age map of Ceylon orientated with East at the top. Embellished with three cartouches, native animals, and trading ships along the coastlines. Original hand-colour. Description: Ceylon (Sri Lanka). Published in Johannes Cloppenburgh Edition, with French text on verso. Coloured. Description: Early miniature map of Sri Lanka. Rare Michael Sparke edition, English text on verso. Coloured. Description: Sri Lanka, or Ceylon, by one of the leading figures of the Dutch Golden Age of cartography. Decorated with sailing ships and two elaborate cartouches. Original hand-colour. Description: Map of the former Portuguese colony of Jafnapatnam and its environs. Published within an English translation of Philippus Baldaeus' workings with the intention of conquering Ceylon (now Sri Lanka) in the late 1650s. Strong Impression. Description: Miniature map of Ceylon, with decorative cartouche. Coloured. Description: Early map of Ceylon (Sri Lanka) and the Maldives with a large inset of Ceylon. Dutch F. Halma edition. Vivid original hand colour. Description: Ceylon. Northern tip of Sri Lanka showing the former Portuguese colony of Jafnapatnam. Published in Churchill's "A Collection of Voyages & Travels". Decorative cartouche. Coloured. Description: Early 18th century map of Sri Lanka orientated east to west and with multiple text panels detailing the history and geography of the island. Description: Spectacular large map of Sri Lanka (Ceylon) with two grand cartouches. The area in pink marks where cinnamon could be cultivated. Vibrant original hand-colour. Description: Bird's eye view of Negombo. 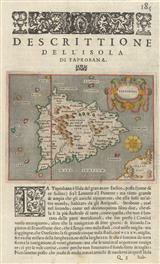 Published within an English translation of Philippus Baldaeus' workings with the intention of conquering Ceylon (Sri Lanka) in the late 1650s. Strong Impression. Description: Early plan of Colombo. Published within an English translation of Philippus Baldaeus' workings with the intention of conquering Ceylon (Sri Lanka) in the late 1650s. Strong Impression. Description: Early map of the island of Mannar, Sri Lanka. Strong impression. Description: Beautifully engraved map of Sri Lanka (Ceylon) by Isaac Tirion, a Dutch mapmaker and bookseller. The island is divided into regions as they were known to the Dutch. Stunning original hand-colour.